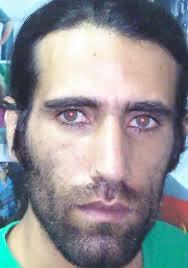 Behrouz Boochani graduated from Tarbiat Madares University in Tehran with a Masters Degree in Political Geography and Geopolitics. He hoped to complete a PhD however due to the political nature of his writing as well as the discrimination against, and genocidal practices of the Iranian regime toward the Kurdish people he was prevented from doing this. Mr Boochani began working as a journalist both freelance and for various newspapers in Iran. His passion is the revival of Kurdish language and culture, a culture suffering under the practices of genocide for centuries. For many years Boochani would secretly teach children and adults their mother language, a particular Kurdish dialect from the region of Ilam. Behrouz Boochani also founded, edited and wrote for the Kurdish language magazine, Werya. He has been incarcerated in Manus Island Detention camp for almost 28 months now. During his time in the camp he has continued to write about the human rights abuses he and hundreds of other men experience daily. He passes much of this information to Australian and international journalists. Bocchani also continues to write about the land of his belonging, Kurdistan, culture, politics and language. His articles are published in Kurdish newspapers and online journals. PEN International is calling for his request for asylum in Australia to be determined urgently. The airport was entirely empty and quiet. There was only a propeller aircraft that was supposed to take us to a far-flung island. I became restless again. I wanted those officers to get on the plane quickly and take us on board so that then the airplane would fly. The atmosphere was too heavy for me, particularly with the presence of those vultures standing right beside the plane and toying with their cameras. With their crammed back packs, the officers boarded the plane. They were like soldiers ready to be sent into a battlefield. Some of the officers were shaking hands with the reporters. I felt that they were partners in crime. F was the first person to board the plane. He needed to walk approximately fifty meters between the bus and the plane’s stairs. The officers had parked the bus far from the plane on purpose in order to make us feel deeply humiliated. Two muscular officers put their hands under F’s shoulder and took him to the plane in an extremely degrading manner. Although F was a tall person, he was like a fawn, a prey for two wild lions: the two officers who held him firmly dragged him towards the stairs. Those reporters too, focussed all their energies into taking the last photos of us, so as to not loose those pure moments. I was confident that they enjoyed destroying our human dignity. It was clear that F stepped reluctantly, however, it did not make any difference since those two giants were taking him by the arm. They did not care about him. They took him like a piece of flesh to the plane at a steady speed. When they approached the stairs, two other men took F up the stairs. There was another person waiting for them at the top of the stairs who was filming everything. It was the scene of the day repeated every two minutes. The only difference was that one piece of flesh changed its place with another piece of flesh. An image of F was flashing through my mind: I saw him sitting on the bow of the boat continually looking to the front and sometimes at his watch. I even recalled his repetitive questions: ‘How far is Australia?’ I remembered, too, that night, the last night, when he remained grimly silent as the hurricane hit the boat. He was holding me with his two hands in a dreadful darkness. He was frightened. Now, all his agonies had ended here. In that scene, he looked more like a dangerous murderer who should be tied as he was moved by two muscular men. These events were all taking place in the land of Australia. They were taking place in the Australia that F had counted down the minutes until he arrived. He had survived such deep fear because of this ambition. It was the Myanmarese’s turn. He seemed weaker than the others. He was short and skinny. After taking some steps, he was shaky on his feet and was about to fall down. The officers raised him up. He was more like a person who is being taken to the gallows. When I was in Iran, I had seen a similar scene. I wished the man would not reveal his weakness and confusion. He had been a brave person whose courage crumbled. He was the one who had traversed the ocean. He should not have been scared of an absurd tumult and cruel cameras. He needed to try to summon his remaining courage and act in a stronger manner. He took a couple of steps further, turned his head and looked at our bus. It seemed he had left someone or something behind. Or maybe, he could not find anything or anyone to lean on in those debilitating moments, except us. Yes, he did not breathe a word during the half day we had been corralled and we had considered him as a stranger. We had not even offered a puff of the cigarette. We were the only people that he knew in this short time. We had a shared grief. We were all in the same boat. He was about to be thrown in to a dark and unknown future; a future which was supposed to continue on an Island. During the rest of his journey to the plane’s stairs he was more like prey dragging along the ground. There was no determination in his feet. He did not even take a single step. After a while, he was on board. After some others, my number was called: MEG45. I got used to that number eventually. They regarded us only as numbers, no more than that, and I had to set my name aside for a long time. When I was called, my ears started moving. My name, which was a part of my identity was of no use, and all day long, sometimes, nobody even once called me Behrouz. I tried to attribute a new meaning to the nonsense number with my imagination. For instance, Mr Meg. But there were many people like me: Meg. What could I do with that rubbish number! Throughout the whole of my life I had always hated figures and maths but now I was forced to carry this number. It weighed on my soul and I had no remedy but to bear its heaviness. At last I tried to make the number relevant to an important historical event. Nothing came into my mind other than the end of the Second World War in 1945. However, whoever I was or whatever I think, the number was announced and MEG45 had to follow a route which F and others had taken before. I confess that I was stressed out, a feeling that combined with anger and ended up as a lump, a piece of sorrow that pressed my throat. What crime did I commit that they wanted to take me by my arms on board? If they had shown me the way, I would have happily sprinted towards the plane and got on it. This situation reminded me of the desperate Myanmarese guy. I thought: I must not appear weak in front of all these eyes gazing at me. I’d had similar experiences in more dreadful circumstances. At least this time I had been eating food for a month; I had a bit of colour on my face and my body did not stink of ooze. However, what could I do with my clothes? A yellow t-shirt which was two times bigger than me reached down to my knees. Clack clack was heard, when I walked with the thongs. My appearance was like nobody. I had never seen anyone dressed up in that way. For example, the short sleeves reached down to my wrist. It was a terrible combination of colours: a yellow t-shirt, black shorts and bare feet which ended in a pair of thongs. By wearing those clothes I was degraded in practice, no matter who I was or what thoughts I had. Put what I just mentioned aside. How on earth could I pass through in front of so many cameras? Particularly, those young and blonde girls who were extremely excited about taking photos, photos closer than close. I must not reveal my weakness. Finally I took a leap in the dark and got off the bus. Those two giants were waiting for me. All of a sudden, they locked their arms around mine and moved towards the plane. I held my head high and took long steps in order to finish the torturous scene as soon as I could. I passed the interpreters firstly. They were dressed in green clothes and were standing watching us without any reason. Maybe they wanted to come to Manus Island with us. They did not look like passengers. I glanced over at the interpreter who seemed not to intend leaving us. There were nothing in her face. Even her smile which had previously formed as a question in my mind in the first place, disappeared. I was unable to understand her; she was highly ambiguous. She seemed both careless and worried. Perhaps, what made her look even heavier was what I felt was a common agony in her black eyes. It was an agony that had caused me to get further and further away from my past and the land that I belong to. There was no doubt that she went through agony like me just because of being labelled as Kurd, being labelled a greedy creature in the Middle East, the one who has always been a fly in the ointment for governments; who is always talking about strange topics like freedom and democracy. Once, she had abandoned everything like me and come to Australia. No matter what means she used to get here, whether a decayed boat or a plane, by looking at her, I felt that I reminded her of a bygone pain. I felt I reminded her of the days that she was considered an extra creature in the Middle East. I felt that this concept evoked in her a feeling of hatred and sympathy towards me. We approached the reporters. One of the blonde girls took some steps closer and while she was kneeling she took some artistic masterpiece photos of my ridiculous face. She was definitely able to create a wonderful scene. She would show it to her editor and would be praised by him or her. In a shot from a bottom angle, my thin body was undoubtedly a masterpiece in those loose-fitting and slovenly clothes. I still held my head high and mounted the plane’s stairs with a sense of pride. But those steps were more like the steps of a person who was running away. I finally got on board. I was directed to my seat and collapsed in a heap. There was no sign of my false pride anymore and I kept my head down. A degraded person, someone who had been humiliated and become worthless. Someone who felt all those people either sniggered in their minds or perhaps cried for him. Through looking at my unkempt appearance and seeing those two officers who pulled me like a dangerous criminal, people should hate coming to Australia. I was the one who ought to make them detest the idea of coming there. The piece of sorrow grew several times as much in my throat and was about to suffocate me. I took some deep breaths so that a part of it might find a way outside and make me breathe easier. After a while, the ex-jailer from Iran who was with us also came on board but no longer chattering and laughing like he had during that day. He sat next to me. The number of officers on board was the same as us. Two officers sat down on two seats next to the ex-jailor and I. They were watching us carefully in order to avoid us conducting any dangerous activities or misbehaviour. After a while, the plane took off and climbed. We got far and farther away from Christmas island; the island we had almost died in the ocean to reach.